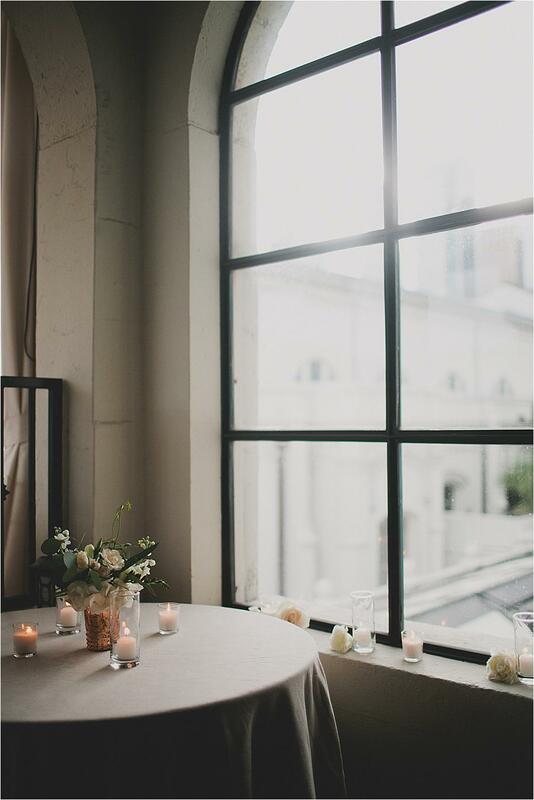 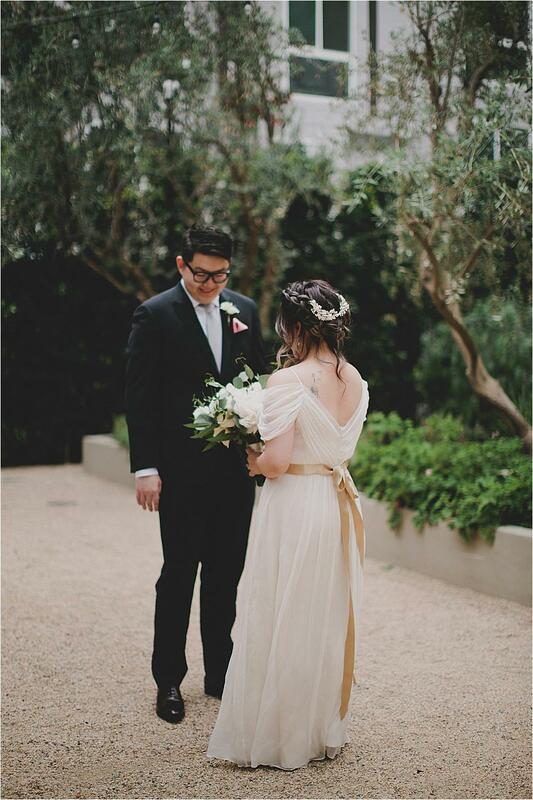 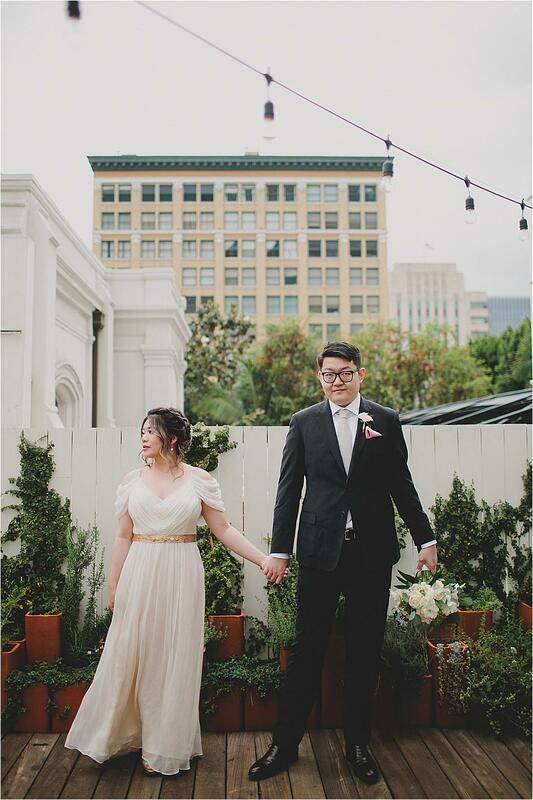 Redbird LA served as the perfect venue for Vera and Ming's beautiful wedding day in Downtown Los Angeles. 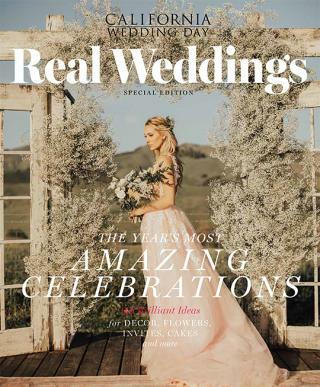 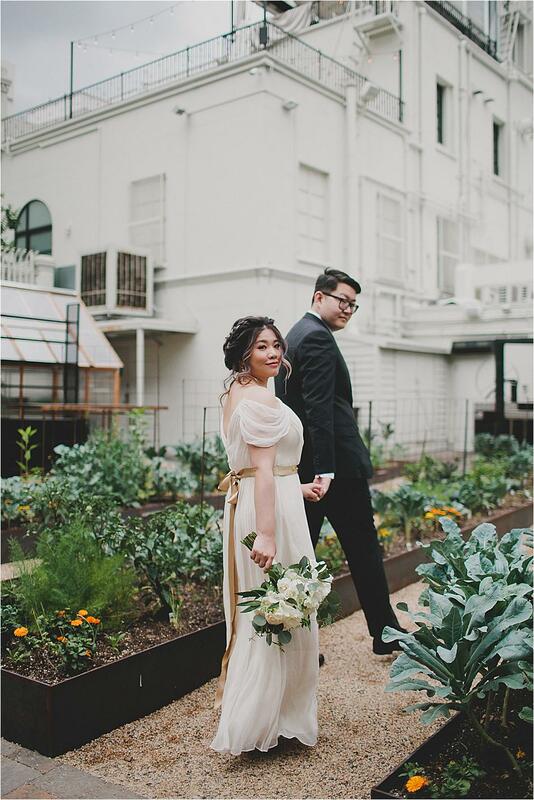 The couple shared an intimate elopement with their closest family and friends, some of whom flew in from across the world to be there for the big day. 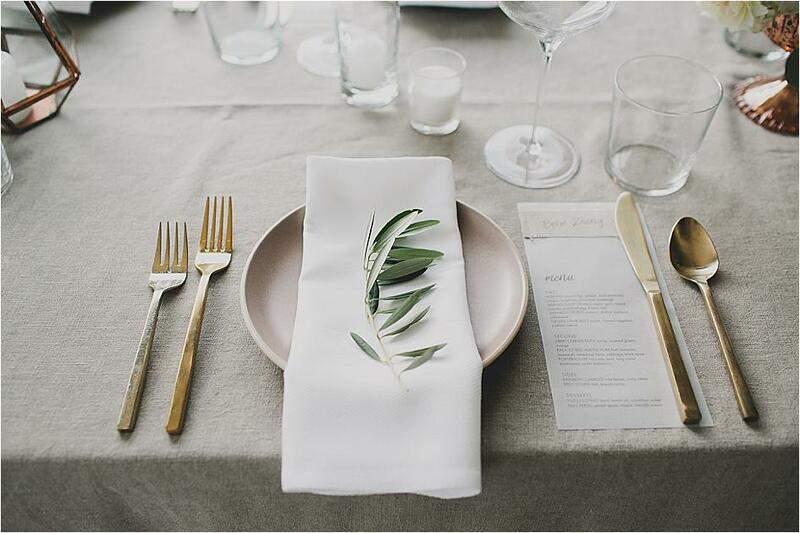 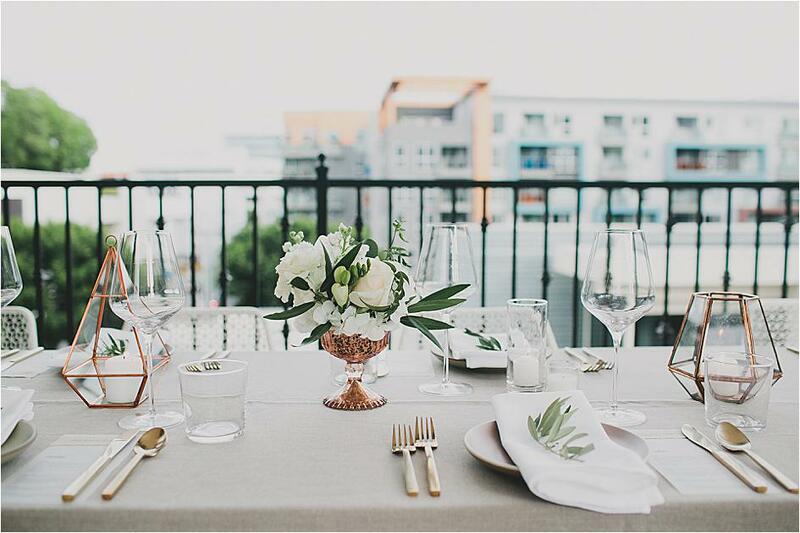 A modern design paired with pops of gold and nautral greenery beautifully captured the style of the couple, and delicious food from Redbird closed out the evening of celebrating the happy couple. 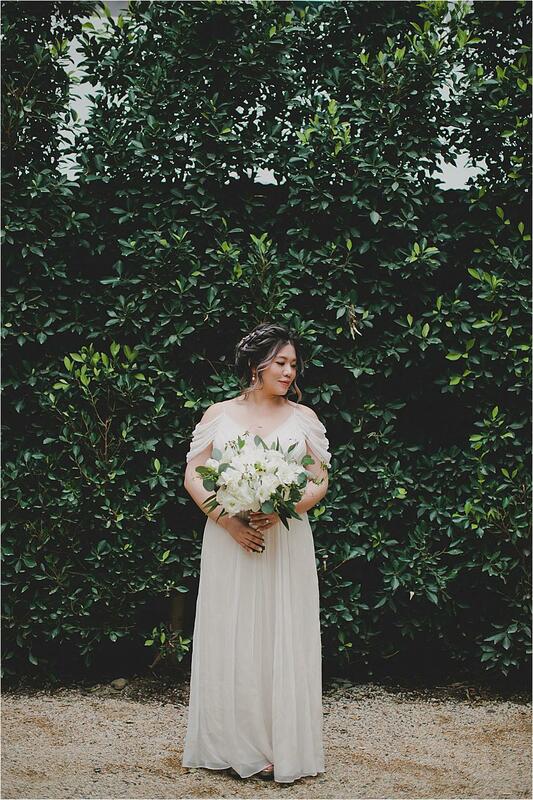 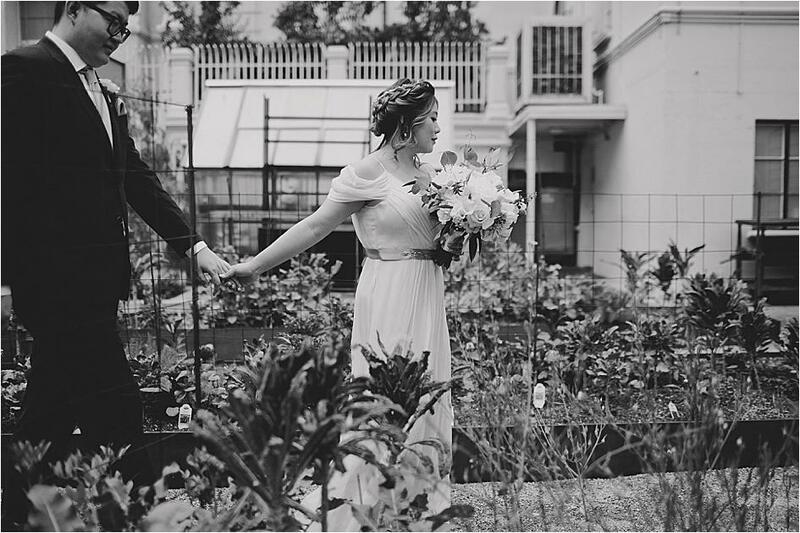 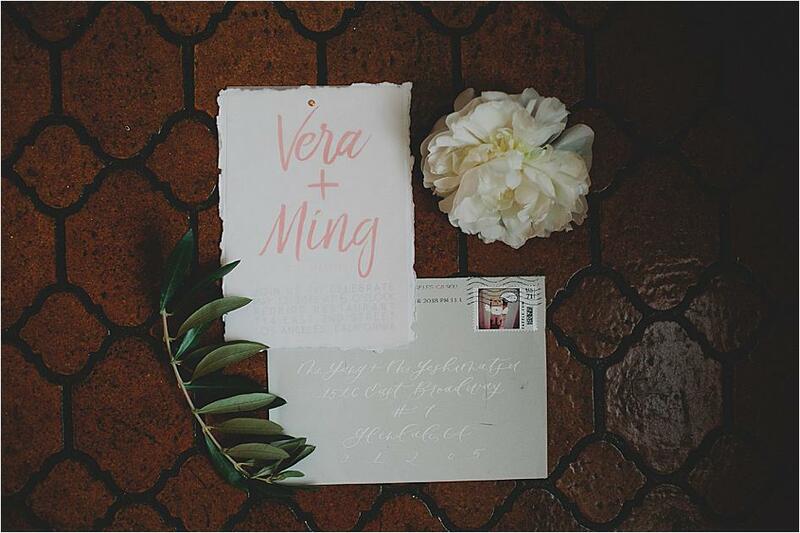 "From our very first meeting, I fell in love with Vera and Ming's vision for their intimate elopement celebration. 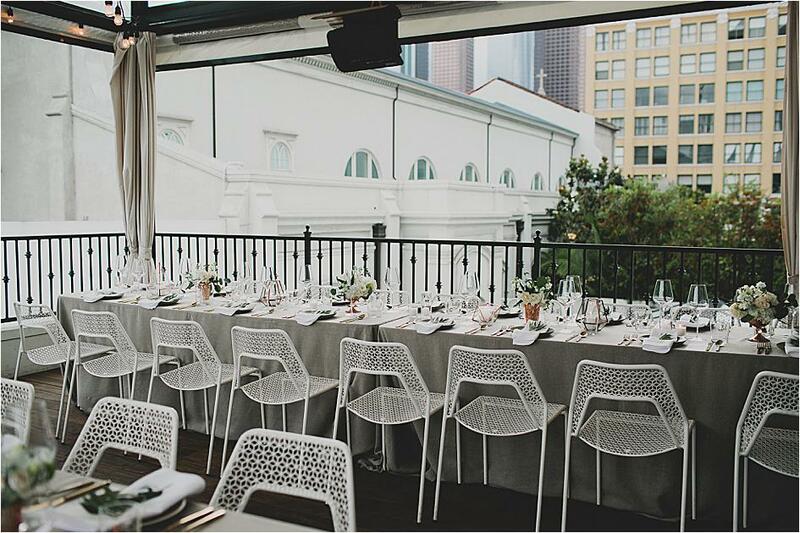 Anything intimate, urban, and chic is pure magic for us to design so saying it was one of our favorites of the year is an understatement! 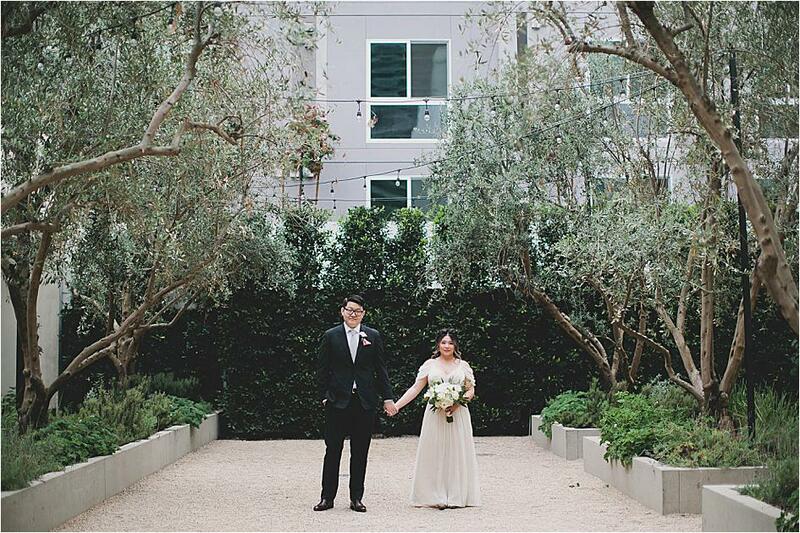 Vera and Ming wanted to keep their celebration modern, warm, and elegant while focusing on great food, even better cocktails, and a unique ambiance for 30 of their closest family and friends. 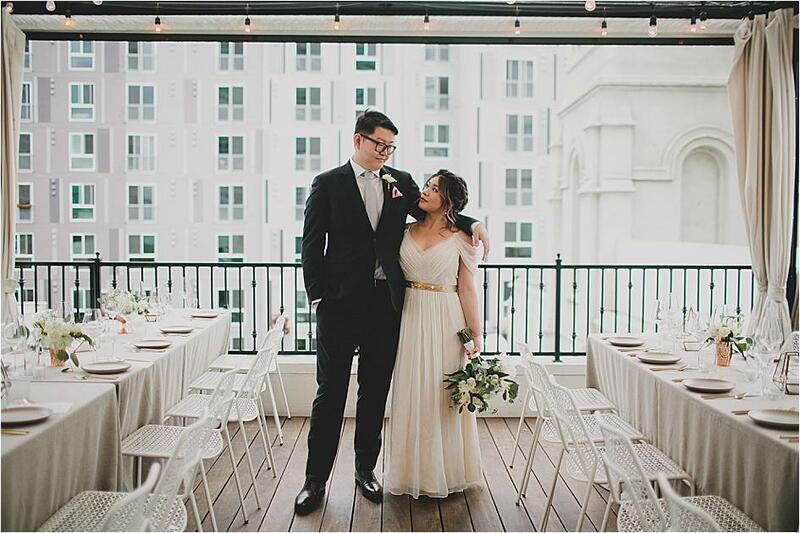 Living in the Los Angeles Arts District, it was only natural that we kept their urban vibe, especially when it came to choosing Redbird's cozy private rooftop loft! 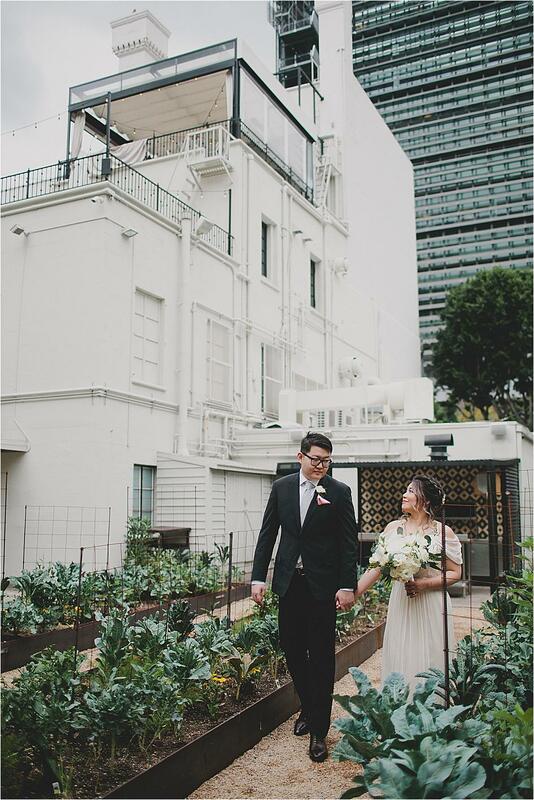 Nestled in the heart of downtown Los Angeles, Redbird is a retired Church rectory turned award-winning restaurant, so it couldn't have been the more perfect fit for Vera and Ming's eclectic tastes! 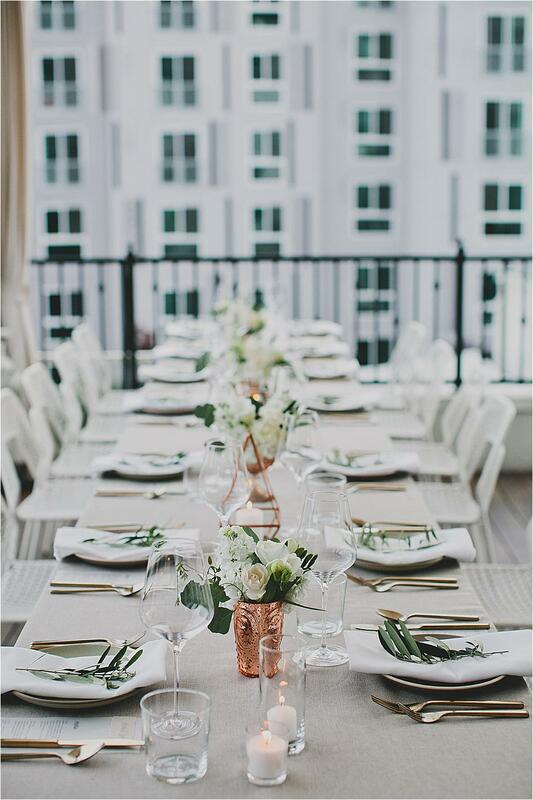 To complement this architectural gem, we conceptualized an understated and modern design focusing on a variety of textures and a warm palette in a polished minimalistic setting. 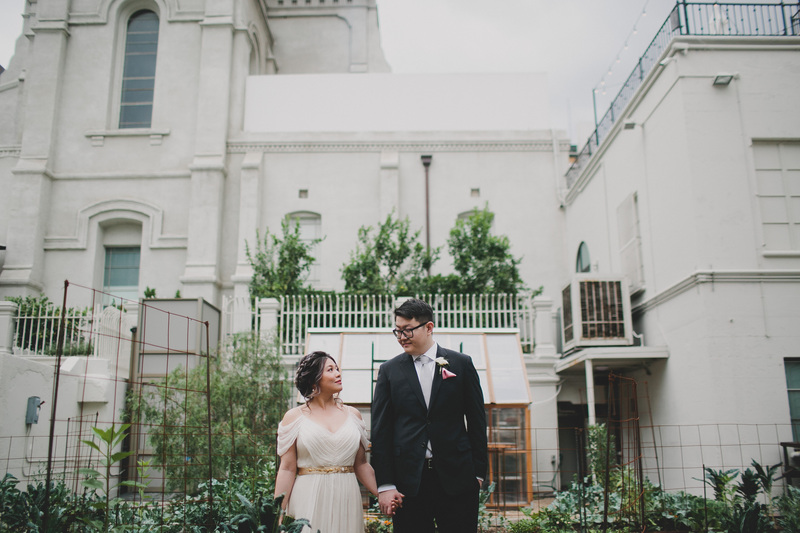 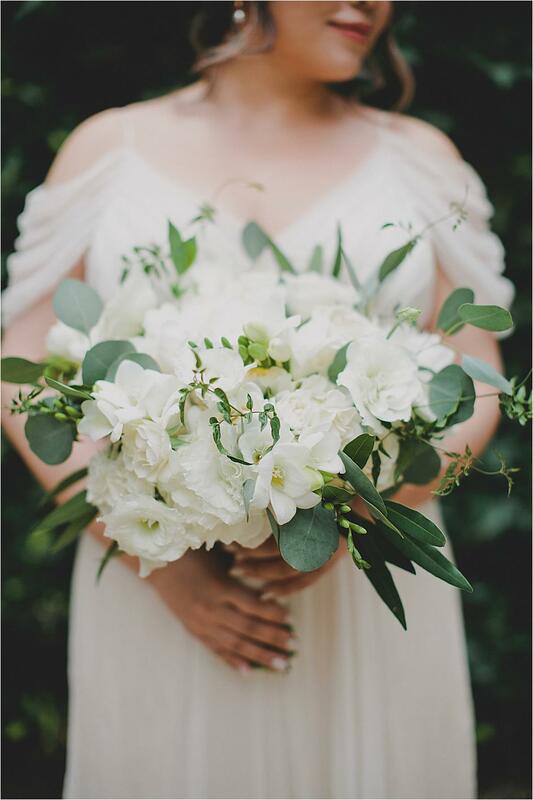 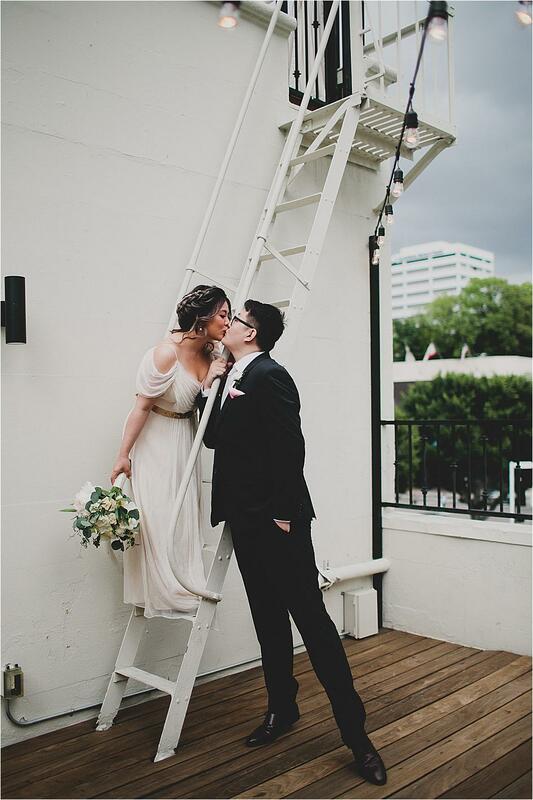 Katie Pritchard Photography explored every inch of the venue to capture Vera and Ming's adorable personalities - my favorite have to be their first look in Redbird's garden and snuggling up in the stairway! 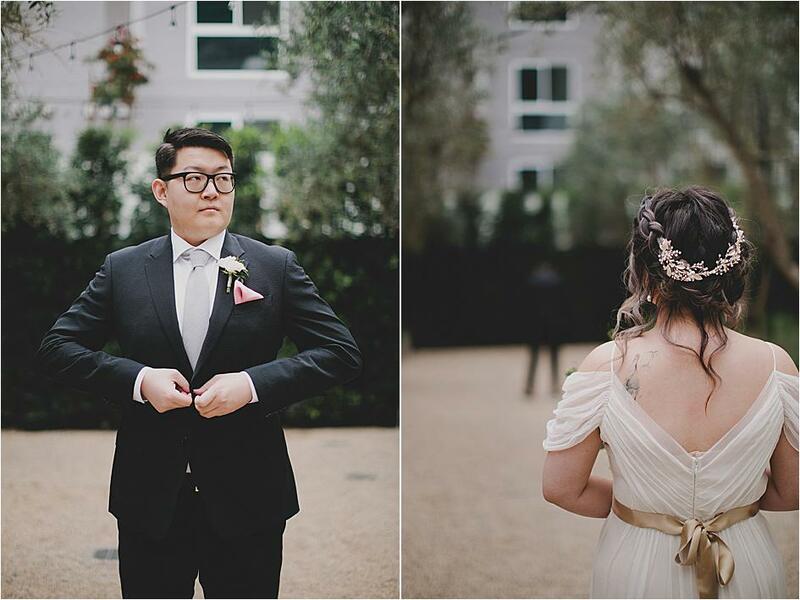 Their reception was intimate in all of the right ways. 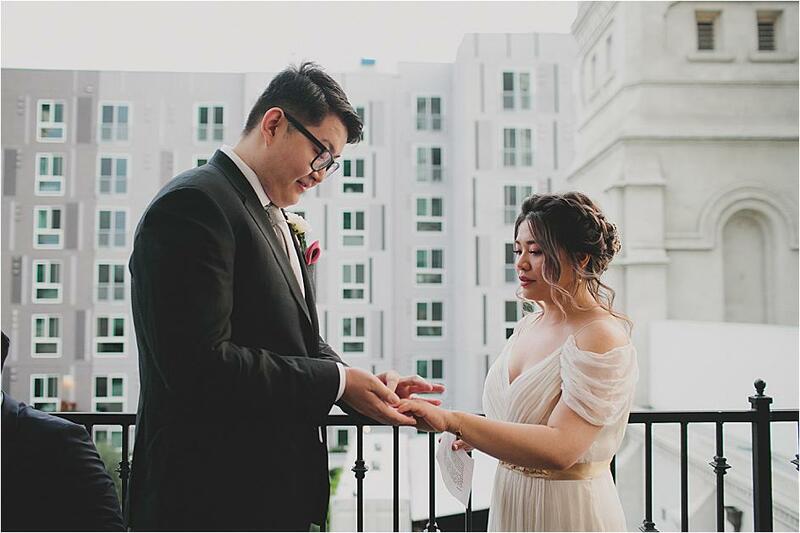 Wanting to include their family and friends in their elopement, Vera and Ming shared their wedding vows in English and Chinese. 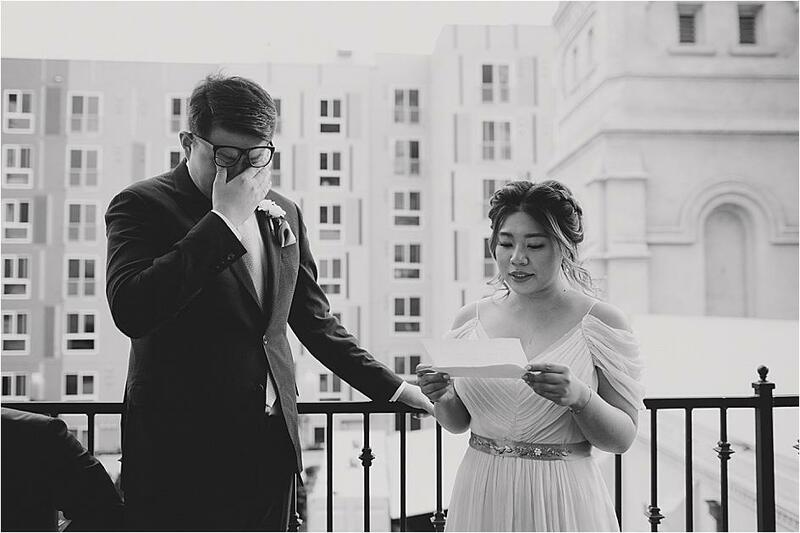 It was a really special moment to be apart of considering that so many family members had traveled in from China to be there. 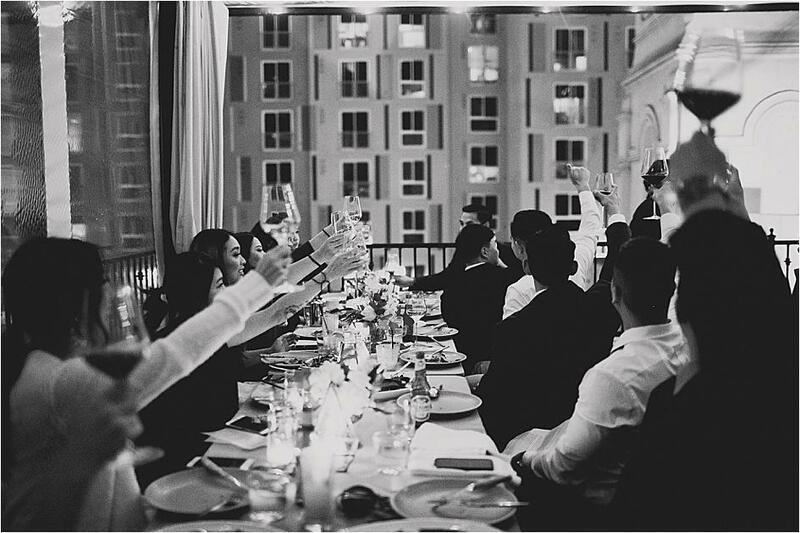 From day to night, craft cocktails were flowing, the 5-course family-style meal filled their foodie loving hearts, and all you could hear was a mix of laughter and toasts under the stars."